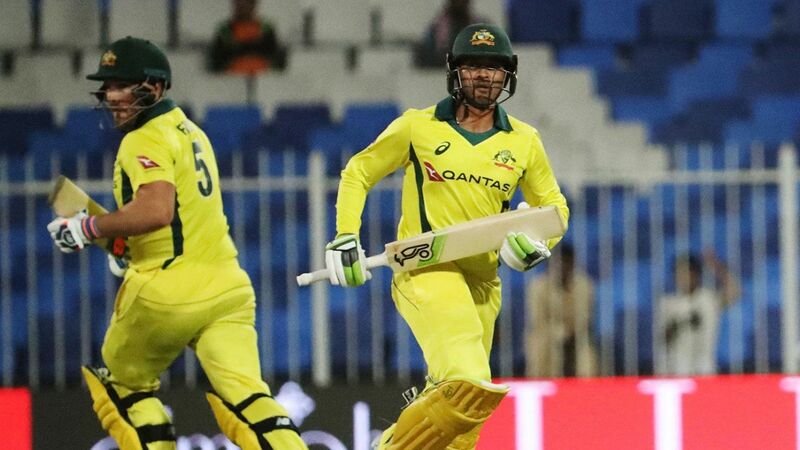 Australia faces a selection headache at the World Cup with Usman Khawaja and David Warner vying to partner the captain at the top of the order. One of the biggest conundrums for Australia is how to configure the top order. Warner dominated one-day international cricket for two years prior to his suspension and has returned to the IPL in devastating form scoring 400 runs in seven games to be the tournaments leading run-scorer halfway through the season. "Theres going to be plenty to think about over the next six or eight or 10 weeks, working back from that first game, and trying to find our best combination and the best way to structure up our side," he said. "Daveys record at the top is unbelievable. Uzis been in great nick recently. I think whichever way we go theres probably scope to mix and match that throughout the tournament as well as we see fit. I think well work that out. Theres nothing set in stone right now." "I think all three of us could do it. Ive probably got the least experience out of everyone in that position in limited overs cricket. Like I said, its something that we will juggle and well tinker with. I think a left-hand right-hand combination will be the way that well go. Just depends on which left-hander…well wait and see." The argument for Finch and Khawaja to remain together is strong. They combined for 817 runs at an average of 81.70 in the last 10 ODIs. "Were both pretty relaxed out in the middle," he said. "Weve known each other a long time and weve played quite a bit of cricket together. Thats what makes partnerships quite unique at times. The ability to sort of have personal relationships as well that goes quite a long way on the field. "Being friends for 15-16 years, thats a lot to fall back on and when youre under pressure you go back to your default. And knowing someone inside-out is crucial I think and that helps. You read each other a lot better, you get a sense of body language and how theyre feeling without actually having to talk about it. I think thats the real advantage of having good close relationships." "As world class players you always put pressure on yourself to perform and I think thats what great players do well, they perform under pressure when theyre needed. Obviously the form that Davey has been in has been unbelievable in India. I know that hes as hungry as hes ever been to perform well for Australia. I dont see that being an issue at all for him. "Steve has probably been a bit slower to start and his injury has probably held him back slightly. But weve seen in the past that they are two of the great players in international cricket. Ive got no doubts that theyll be up and going and firing."